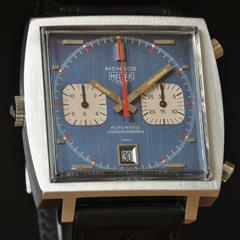 The very first and very few, Monaco's had “Chronomatic” on the dial. But soon the Chronomatic name was Breitling only and the name disappeared from the dial. 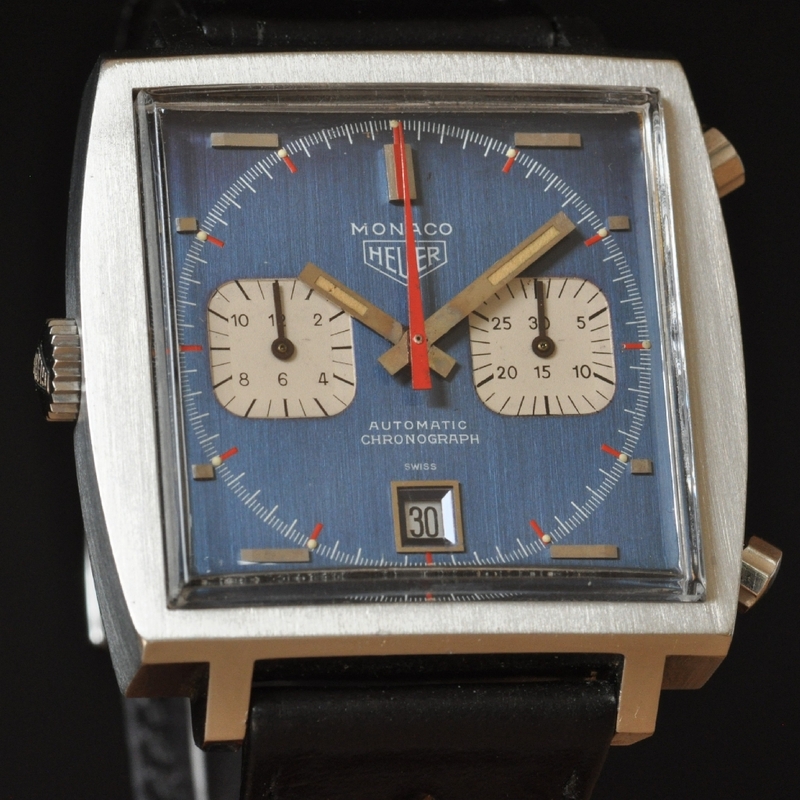 Then came the “Transition” model, still with the beautiful multicolor Chronomatic dial, but without Chronomatic on the dial. 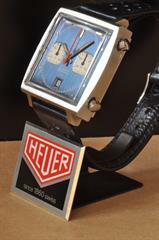 Some believe that the Transition model was never really for sale but were only made in very low numbers that was used by Heuer sales reps and the like. Anyway only around 20 are known to exist and this one is a very fine example. 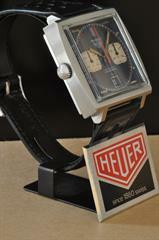 The special steel hands are not changed and the movement is an original unmodified caliber 11. Enjoy how the dial can change from black to blue depending on the light.